The only place to buy officially licensed Vocalzone merchandise. Smudges and fingerprints on our screens drive us insane, and the number of devices we have in our lives seem to always be increasing! 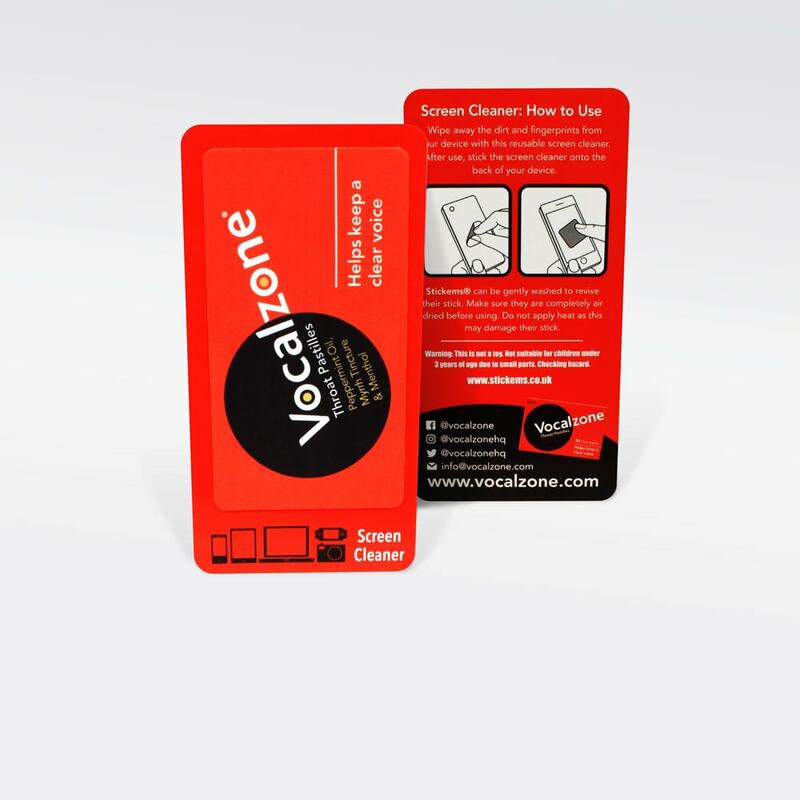 Vocalzone Stickems are reusable, washable and durable microfibre cloths that attach to the back of your device to be peeled off and used the minute you see even the tiniest of imperfections on your screen. Our screen cleaners measure 50mm x 90mm and are perfect for all screen types including smartphones, tablets and laptops.